One of the most recognisable buildings on the Tyneside skyline has been given a new lease of life thanks to BAM Construction with Arkoni providing fire rated screen and door sets as well as non-fire rated glazing. Parsons Tower, a 70s tower block that forms part of the Newcastle College's Ryehill Campus, has recently undergone a £13 million refurbishment under the auspices of Newcastle-based Red Box Architecture. The project has involved the construction of contemporary façades, new windows, internal remodelling and upgraded M&E services. Martin Quarmby of Arkoni explained: "Parsons Tower is one of the first visible landmarks as you cross the Tyne Bridge. It's undoubtedly an iconic part of the Newcastle skyline. 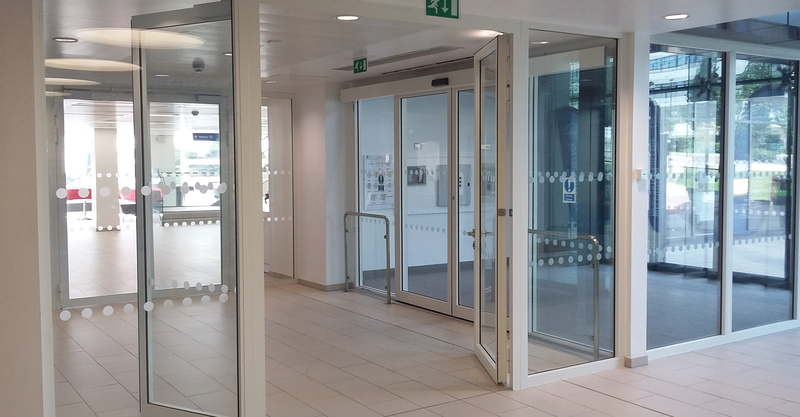 "We were awarded the contract in August 2014 to supply fire-rated glazing over multiple floor levels. The fire ratings for the internal refurbishment ranged from 30 minutes through to 2 hours. Arkoni supplied all the fire-rated glazing using Forster systems. Due to some of the glazed screens forming a barrier, the framing sections were reinforced with additional steel internally. All of the glazing had an additional laminated layer with a PVB interlayer at the request of the university. This additional weight to the glass made the logistics and handling of the materials added a degree of complexity to the project," added Martin. Work concluded on site in September 2015.